WARSAW, Poland (September 8) – Roksana ZASINA (POL) and Agnieszka WIESZCZEK-KORDUS (POL) helped the host nation, Poland, capture two of the possible five women’s wrestling gold medals that were up for grabs on the second day of the final Ranking Series event of the year. Roksana Zasina, the No. 8 ranked wrestler in the world, gave Poland their first gold medal of the day after scoring a 6-2 win over U23 world bronze medalist Tetyana KIT (UKR) in the 55kg gold-medal match. Zasina won her second straight Poland Open title, but more importantly, she stopped Kit from capturing her first Ranking Series gold medal. Kit has competed in three of the four Ranking Series events and has finished with two silvers and a bronze medal. At 72kg, Wieszczek-Kordus handed Poland their second women’s wrestling gold medal after sticking WANG Kunming (CHN) in the gold-medal match. It took Wieszczek-Kordus four tries, but she finally grabbed the gold medal that she’s been chasing since 2012. 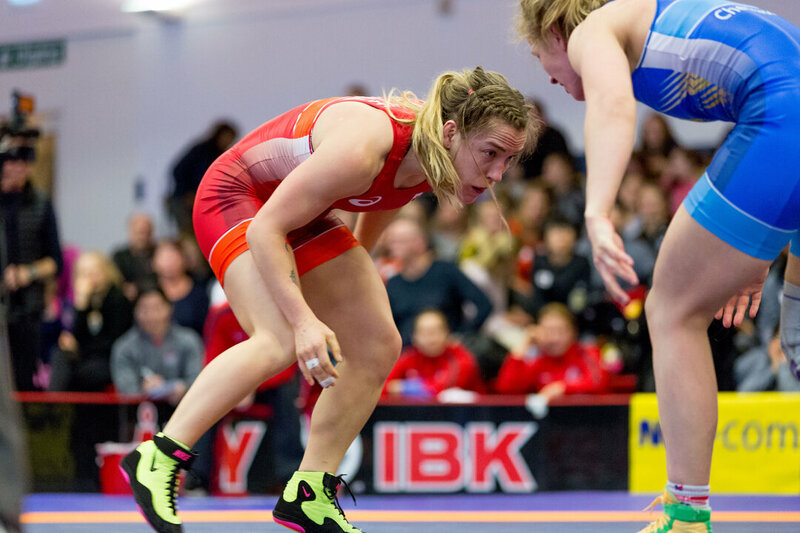 Danielle LAPPAGE (CAN), Svetlana LIPATOVA (RUS), and Mariya STADNIK (AZE) won the final women’s wrestling gold medals. In the 65kg finals, Danielle Lappage stunned the No. 1 ranked wrestler in the world, Petra OLLI (FIN), 3-2. Lappage handed Olli her first loss since January’s Ivan Yarygin. Since January, Ollie has won gold medals at the Klippan Lady Open, the International Ukrainian Tournament, and the European Championships. Stadnik gabbed her second gold medal of the season, defeating Ilona SEMKIV (UKR) in the 50kg gold-medal bout. Stadnik, the Klippan Lady Open runner-up, and European Championship gold medalist scored her fifth technical superiority victory of the tournament, improving her 2018 record to 12-1. Her only loss in 2018 was against reigning world champion, Yui SUSAKI (JPN). Svetlana Lipatova claimed the final gold medal with an injury default win over 2017 world runner-up, Marwa AMRI (TUN). BRONZE - Nurislam (Artas) SANAYEV (SANAA) (KAZ) df. Adrian Jakub WAGNER (POL), via fall. BRONZE - Andrzej Piotr SOKALSKI (POL) df. Jonatan ALVAREZ DIAZ (ESP), via forfeit.